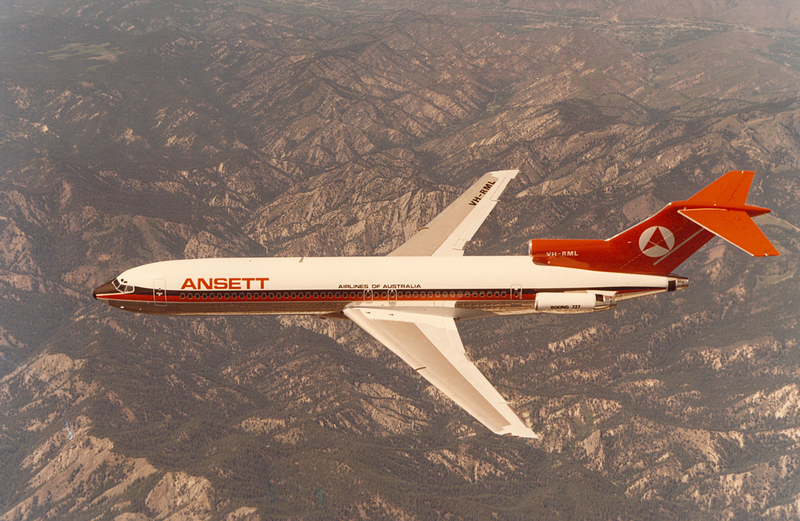 Test flight of the 727 for Ansett transferred to Seattle in 1962. In 1963, Boeing created a new airplane, the 727. It became a top seller. It was a tri-engine with the engines in the rear. Two airlines in Australia, TAA and Ansett, bought several. TAA and Ansett were domestic airlines. TAA was government owned and Ansett was privately owned. A training program came into being. For the pilots, the training took place at Tucson, Arizona. It was a popular place with Boeing. It was used with the German Lufthansa 707 program. I’m glad I wasn’t there then. I couldn’t have stood the activity – Flying during the day and carousing at night. The Australian training was more subdued although there was a lot of partying complete with Afterburners and tie cutoffs. Afterburners were jiggers of Brandy with the top lit on fire. One pilot burned his mustache off. I had two students. One failed his check ride. I don’t think it was my fault but I was disappointed. Following the training at Tucson, I got to go to Australia. Several pilots and flight engineers were sent to Australia to ride with the Australians during their first month of operations of the 727. We operated out of Melbourne, which was the home base for both TAA and Ansett. Most of the flying was east to west and then, west to east. On a typical day, we took off at Melbourne with passengers and flew east to Sydney. Then picked up passengers and flew to Adelaid. The stop at Adelaid was for about one half hour for refueling and change of passengers. We called this operation the Australian Air races. Both airlines did the same thing and there was no set time for who took off first. Whoever was ready first got a head start. After Adelaid, the route was west bound into Perth. Perth is on the west coast of Australia on the Swan River. We usually landed at Perth in the early afternoon so the first thing to do was to go water skiing on the river. After that and a little rest, it was party time. The parties were noisy. In fact, one motel owner kicked us out. She said in a nice way that our taxies were waiting, which meant we had to find another place to party, which we did. Australian beer was higher in alcohol content than US beer. That and the combined partying made me feel like an alcoholic when I got back to Seattle. It took a couple of weeks to dry out.